Apple's USB Restricted Mode: How to use New USB Restricted Mode In iPhone? Apple’s USB Restricted Mode: How to use New USB Restricted Mode In iPhone? Apple devices are popular for being a secure platform and tough for hackers to hack. It is next to impossible for anyone to get into an Apple device with the help of passcode, TouchID, and FaceID. So, without getting your passcode or TouchID, nobody could get into your Apple device. But, law enforcement agencies have always been a step ahead of smartphone manufacturers by exploiting loopholes that exist. So, with such law enforcement agencies, Apple is no exception. After security measures, cops have found out a loophole that can be used to unlock the phone and access its contents. This method doesn’t even require users’ passcode or TouchID. But, in iOS 11.4.1 update, Apple introduced a new feature named USB Restricted Mode to shut down this loophole. 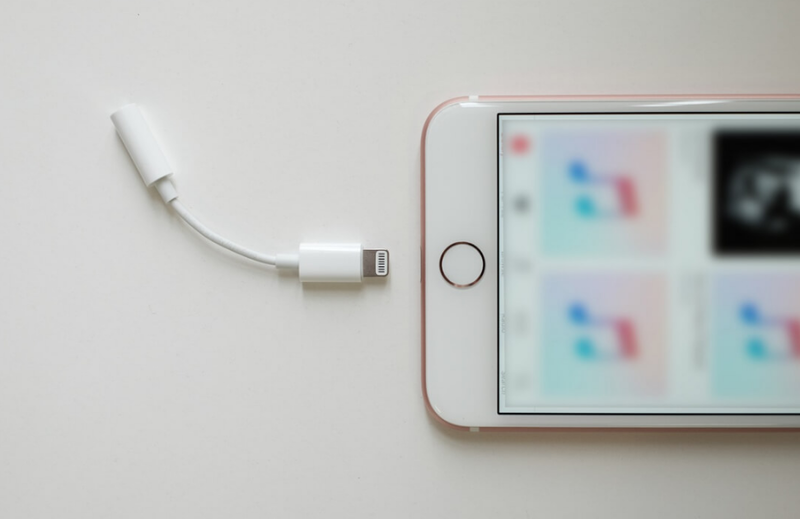 The loophole to unlock the phone without passcode or TouchID existed in the USB port to which devices can be connected and brute force hack can be sited to unlock the device. Devices that can deploy brute force hack include GrayKey. There are many third-party companies and app developers creating devices that can help law enforcement to unlock the lock screen by bypassing the passcode. Companies such Grayshift and Cellebrite have been benefited a lot for helping law enforcement agencies. For securing devices and shut this loophole, USB restricted mode has been provided in iPad and iPhone. The new feature named USB Restricted Mode was rolled out to users along with the iOS 11.4.1 update. It was tested in beta versions earlier. When this mode is turned off, you won’t be able to establish a connection with any device paired through a charging point if it has not been unlocked for more than an hour. In simple terms, with the USB Restricted Mode off in iPad/iPhone, your device is safe from law enforcement agencies pairing devices that can brute force your passcode and access your device’s data. According to the official blog post, the new feature will require you to first unlock your password-protected device to communicate with a USB accessory or computer. 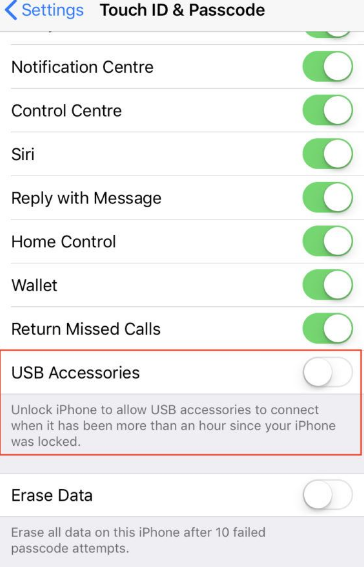 Also, if you haven’t unlocked your device for an hour, you won’t be able to communicate with the accessory of computer and your device might not charge. However, as law enforcement agencies are always a step ahead of smartphone manufacturers, they have found a loophole in this feature too. Seems funny though! How to Use USB Restricted Mode in iOS? By default, the USB Restricted mode is on. The title of this feature is quite confusing though. If the toggle button is on, the USB Restricted Mode is off and vice versa. 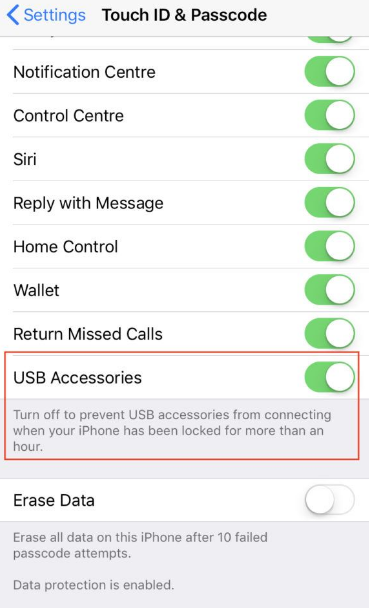 In case you haven’t unlocked your device for an hour and want to allow access to USB accessories, you need to turn off USB restricted mode manually. 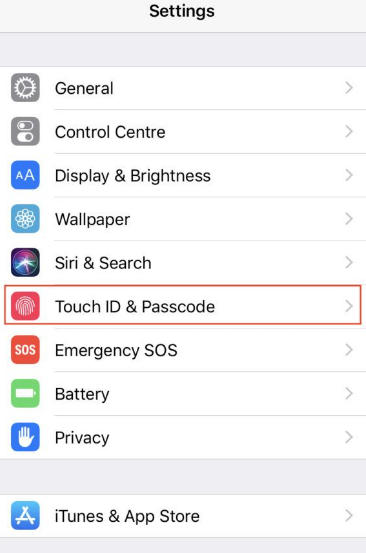 Go to ‘TouchID and Passcode‘ section. Enter your passcode and scroll down to the bottom of the section. You will find an option of USB Accessories. By default, it is turned on. So, your device to connect any USB accessory before any communication, if your device has not been unlocked for an hour. Now, you can disable your USB port without waiting for an hour. 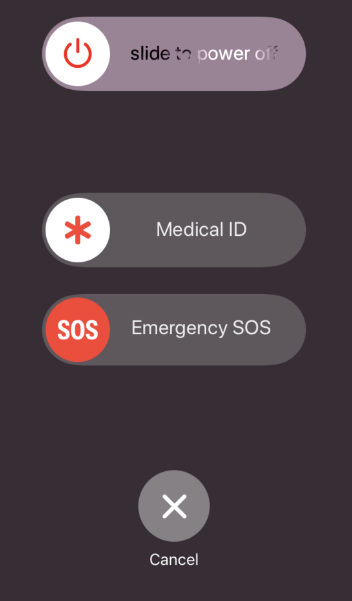 Simply press power button five times rapidly and select the Emergency SOS option from there. Is USB Restricted Mode foolproof? No! It is definitely not. The feature of USB Restricted Mode was released along with an iOS 11.4.1 update. Moreover, a cybersecurity firm named Elcomsoft claimed that they found a loophole that can fool this feature. They conducted several tests and made an observation. It claimed, it could reset the one hour time duration in which the device gets locked. This method works unless the device has entered USB Restricted Mode.